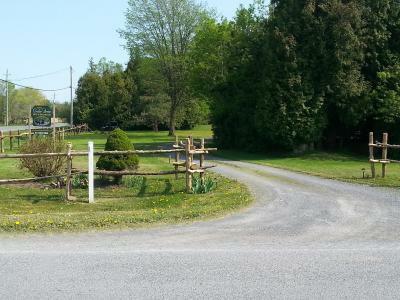 Lock in a great price for Cedar Drive B&B Gîte - rated 9.5 by recent guests. Thank you for the very nice breakfast and convenient one more bed. Very friendly! Wonderful hosts and fantastic breakfast. Comfortable room. The hosts were very nice. The breakfast provided was excellent. Tout! Les hôtes ! Leur qualité d'accueil, gentillesse et sourires. Le lieu : belle maison, vaste jardin, tout est propre et entretenu! Les chambres, super jolies, propres, spacieuses. La literie confortable ! Les petits déjeuners, très copieux et délicieux ! Supervriendelijke eigenaren, Ontbijt heel lekker en zeker voldoende groot. Nette kamers. L accueil, la chambre. La disponibilité des hôtes avec notre Pdj que nous souhaitons à 7h00 du matin à cause de notre décalage horaire de france que nous avions encore pendant notre séjour chez eux. La facilité de s`y rendre et surtout la bienvenue du couple. Je vais y retournée. Lucille K. Bonne journée. Die Hausherrin und der Hausherr haben uns ein unglaublich nettes Willkommen bereitet. Wahnsinnig herzlich und offen wurden wir empfangen. Die Lage ist für ein kanadisches Dorf sehr gut, da man fußläufig in die "Innenstadt" gelangt, dort kann man auch gut essen. Das Frühstück war sehr sehr gut und auch individuellen Wünschen angepasst. Top! 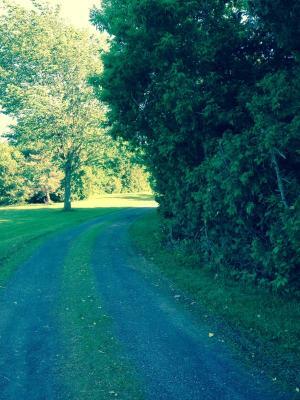 Providing garden views, Cedar Drive B&B Gîte in Crysler offers accommodation and a garden. Complimentary WiFi is available. A flat-screen TV with satellite channels and DVD player are available in some units. There is a shared lounge at this property and guests can go skiing nearby. The nearest airport is Ottawa Macdonald-Cartier International Airport, 34.2 miles from the bed and breakfast. Cedar Drive B&B Gîte has been welcoming Booking.com guests since 23 Jun 2015. When would you like to stay at Cedar Drive B&B Gîte? Property is purpose built, the guests have a private entrance, their own lounge and dining room. The rooms are new, clean, equipped with Sat TV & DVD, radio alarm clock, hairdryer, beverage tray, free Wi-Fi, ensuite toilet and shower. Free parking. House rules Cedar Drive B&B Gîte takes special requests - add in the next step! Cedar Drive B&amp;B Gîte accepts these cards and reserves the right to temporarily hold an amount prior to arrival. Cedar Drive B&B Gîte accepts these cards and reserves the right to temporarily hold an amount prior to arrival.